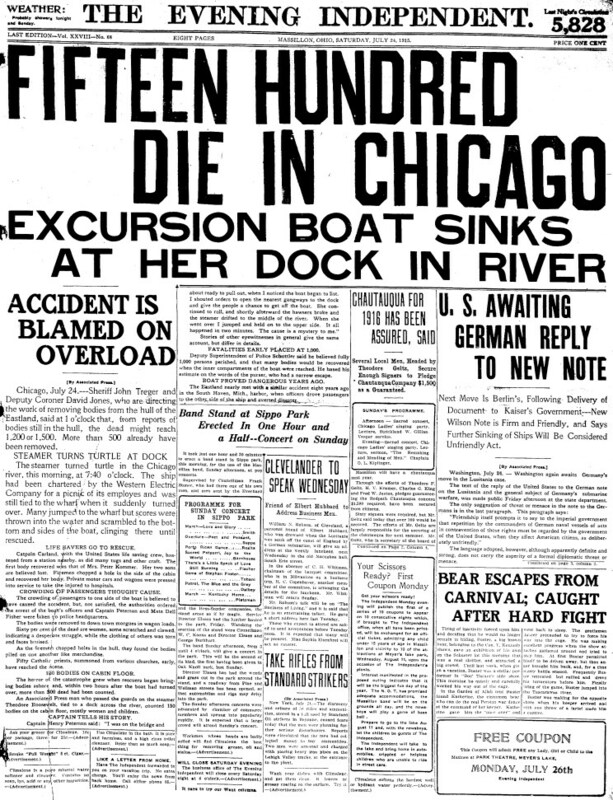 July 24, 1915: Front page of the Brownsville Herald, Brownsville, Texas. 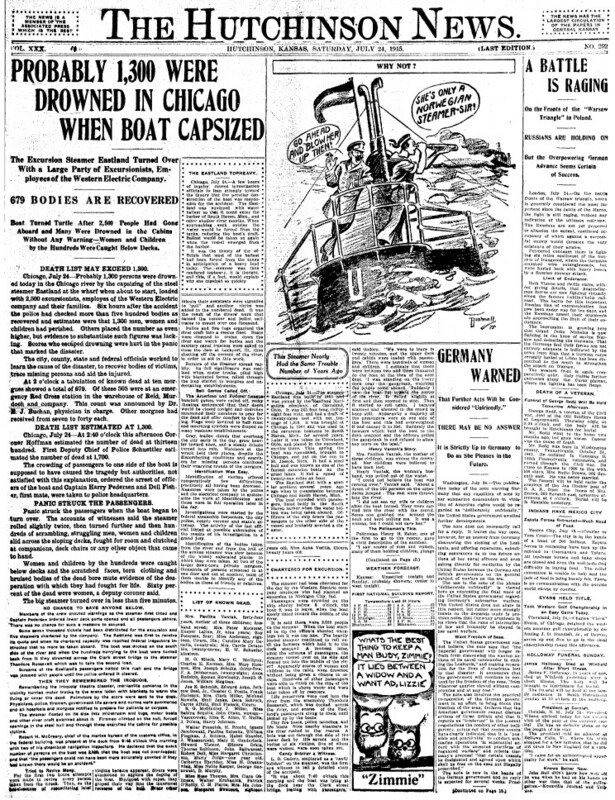 July 24, 1915: Front page of the Daily Republican-News, Hamilton, Ohio. 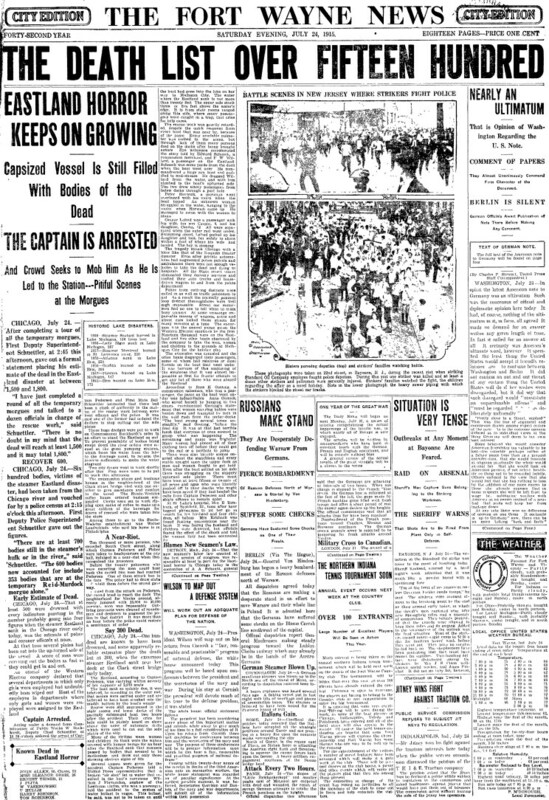 July 24, 1915: Front page of the Evening Independent, Massillon, Ohio. 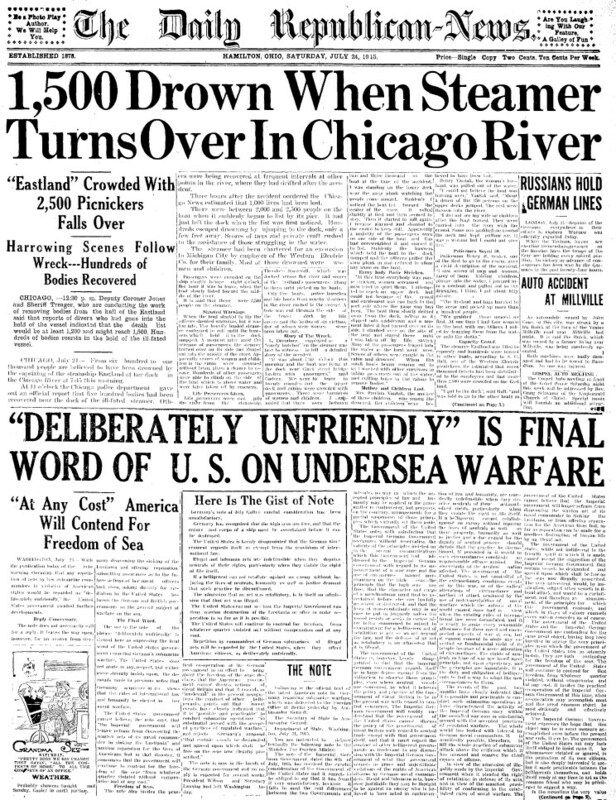 July 24, 1915: Front page of the Ft. Wayne News, Ft. Wayne, Indiana. 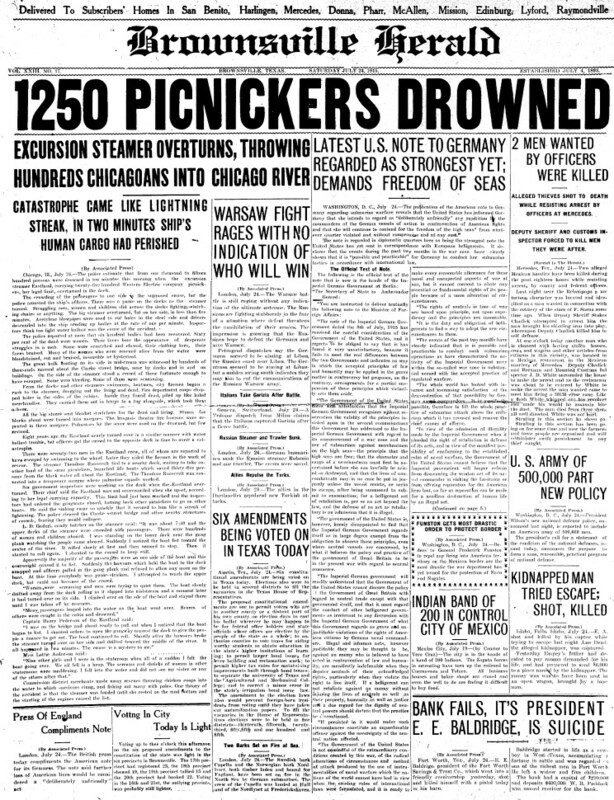 July 24, 1915: Front page of the Hutchinson News, Hutchinson, Kansas.